It's been some time since I've done an update, so here are some items I hope you find interesting. Here is a very interesting image from 1882. 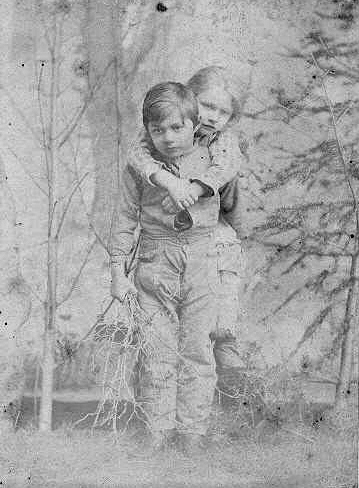 The inscription on back says: "Two children lost in the Michigan woods for eight days in July 1882. Boy is 9 years." F.C. 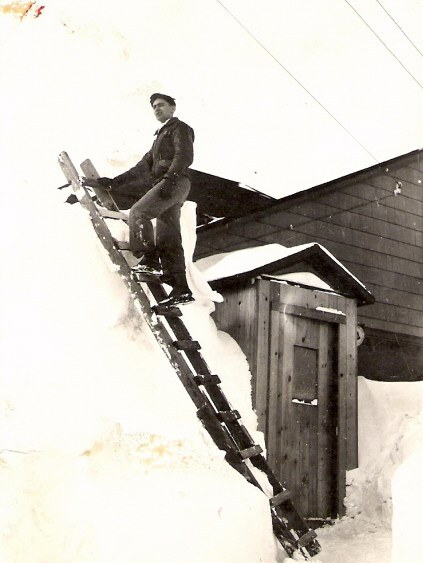 Haefer, Photographer, Calumet, Michigan. NEWS ITEM- The two LORRIE children of Allouez, Keweenaw County who were lost in the woods for 8 days were found by Andrew OLSON; of Hecla and Alfred JOHNSON, Eric Ericson and Charles LARSON of Calumet. They lived on berries. The above 3 pictures are from Robin Niemi Johnson. 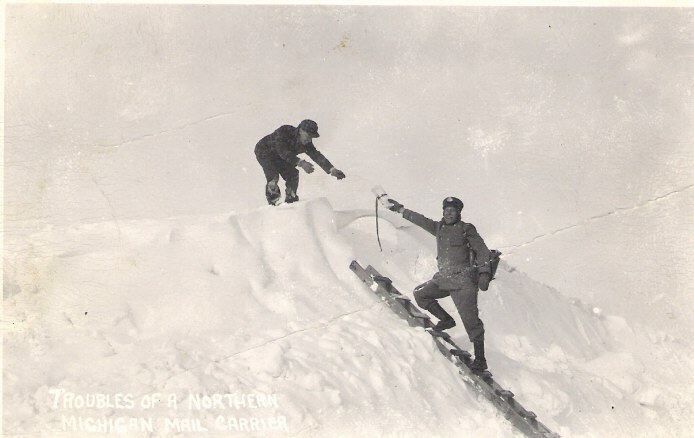 The first was mailed from Calumet on Jan 9, 1948. The second one was mailed from Hancock on Nov. 2, 1961. It's hard to complain about snow when you see these pictures! 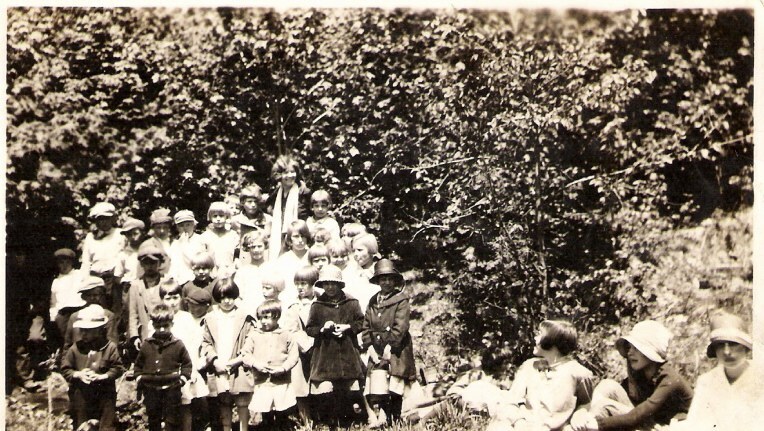 The third one is a photo of Paradise and Peltien (or Peltier) School Picnic. Willma Fraki. Does anyone have any information about this school? The following set of photos are courtesy of Jim Sweet, of Cary, Illinois. Jim traces his family roots to his grandfather Joseph Cvetic/Svetic/Svetich/Sweet. The spellings have changed over time. 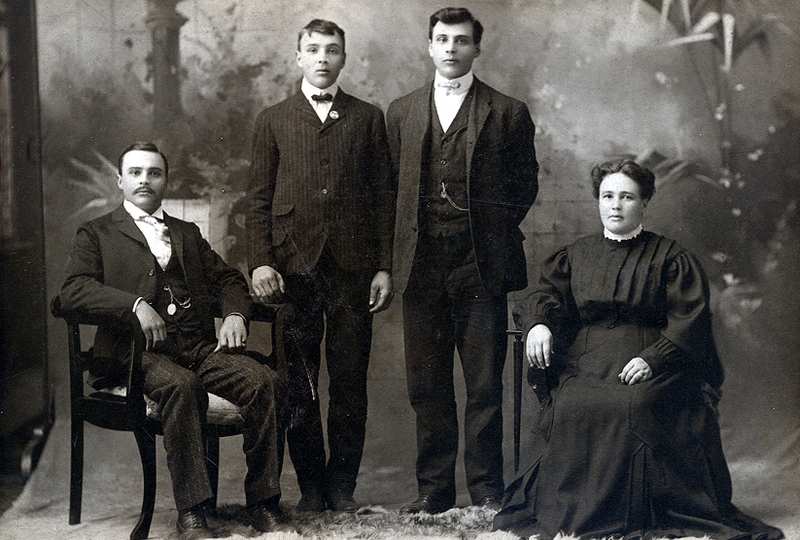 The first image is the Cvetic/Svetic/Svetich family picture, "Calumet Mich., 1904"
Left to right, standing Joe & Matt, and sitting John & Ann. 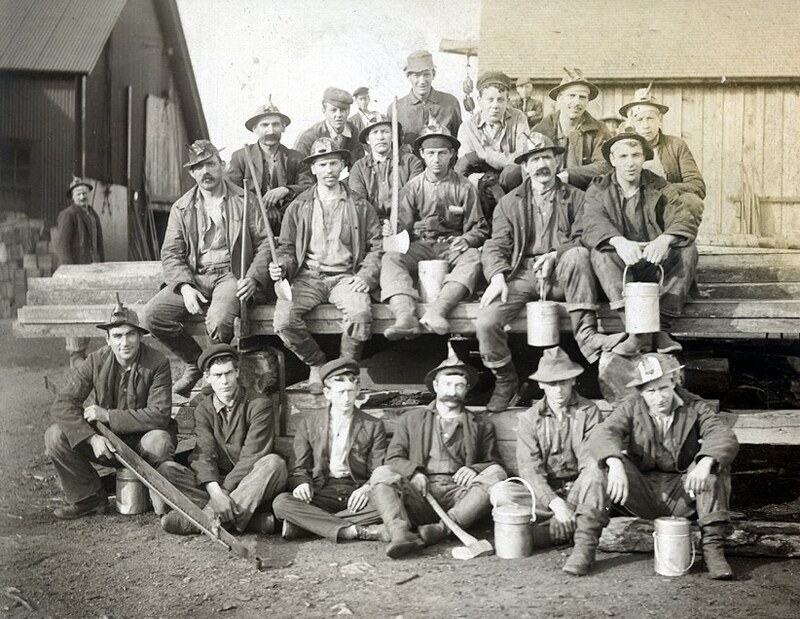 The next picture shows Jim's grandfather, seated at the end right (holding the pail) in the middle row. On the back is written "1908" and "No. 5 Shaft". This most certainly would be the #5/6 shaft, at the north end of Mine Street. This crew appears to be an underground lumber gang, probably working to keep the miles of timber supports stable and safe. I would say this photo is about 1905 since all still have oil lamps. Next are images of his grandfather's Calumet & Hecla mining employment card. Actually, the date shown is 1906, so I was close in my guess. 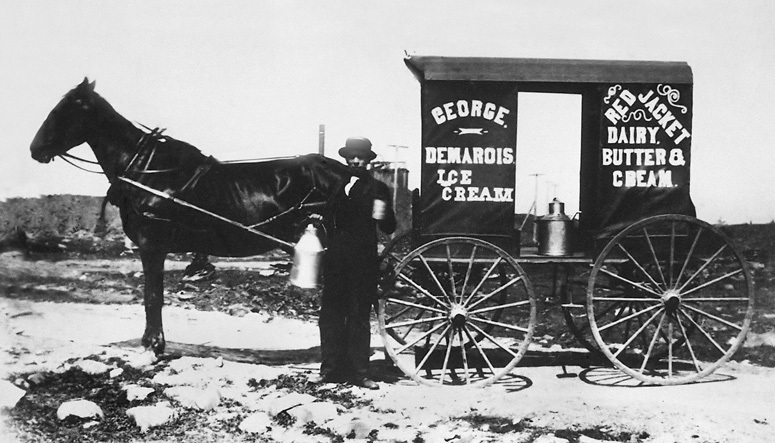 The terrific dairy wagon photo probably dates to around 1895. Thank you, Jim, for sharing these wonderful photos!